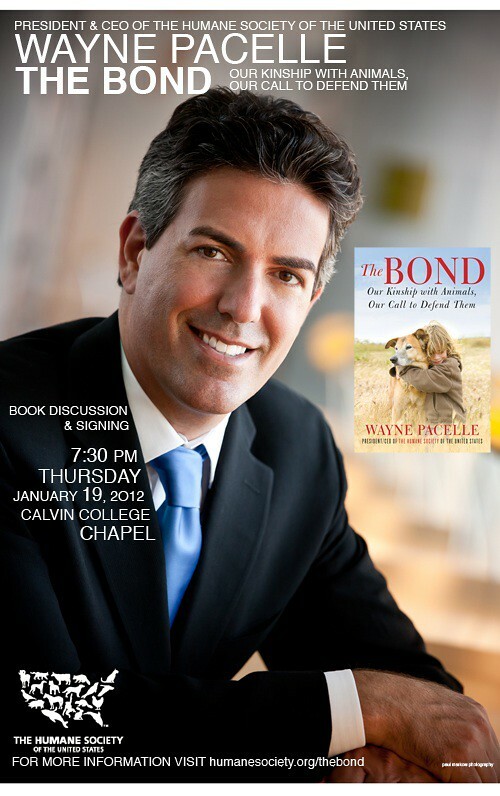 Wayne Pacelle, President and Chief Executive Officer of the Humane Society of the United States, will kick things off with a public lecture on his new book, The Bond: Our Kinship with Animals, Our Call to Defend Them. Called The Barnyard Strategist by the New York Times, Pacelle’s journey as the leader of the largest animal protection organization in the United States has taken him everywhere from animal rescue operations, to demonstrations on Capitol Hill, to the sets of The Oprah Winfrey Show and The Ellen Degeneres Show. Learn more about his motivation for writing the The Bond here, and then join us on the 19th to get your autographed copy at the reception and book-signing following his lecture.